For today, since I promised to, I thought I’d show a couple of pieces of my daughter’s art. She’ll be four in a couple of weeks. That’s hard to believe. When we break out the art supplies instead of giving her a specific project, I just hand her the materials and let her go. 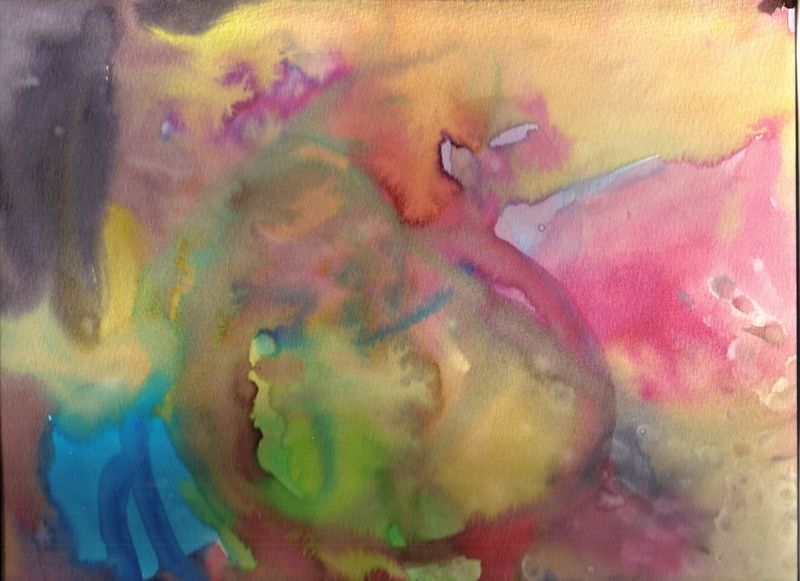 This is a scan of a watercolor she did yesterday. I’m not sure if it is right-side-up or not, but since she didn’t express a preference, I thought I’d show it this way. 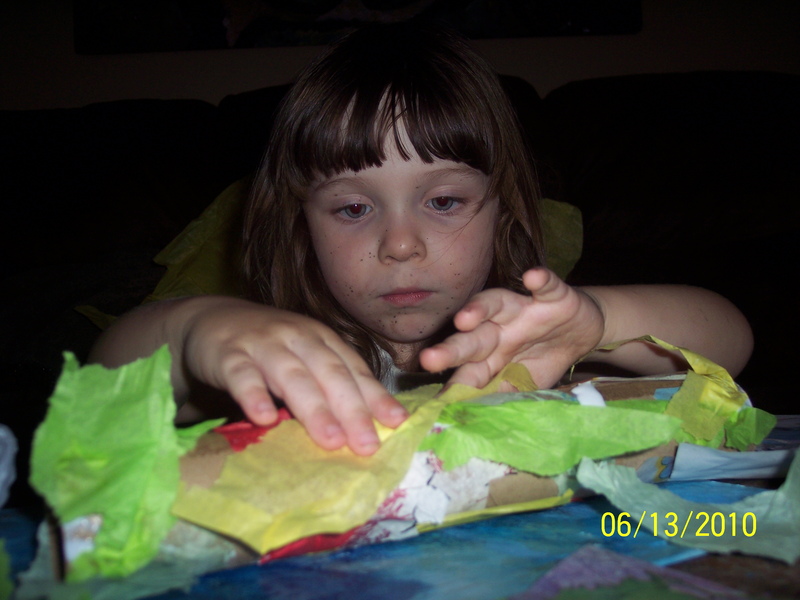 Here she is applying tissue paper to cardboard. 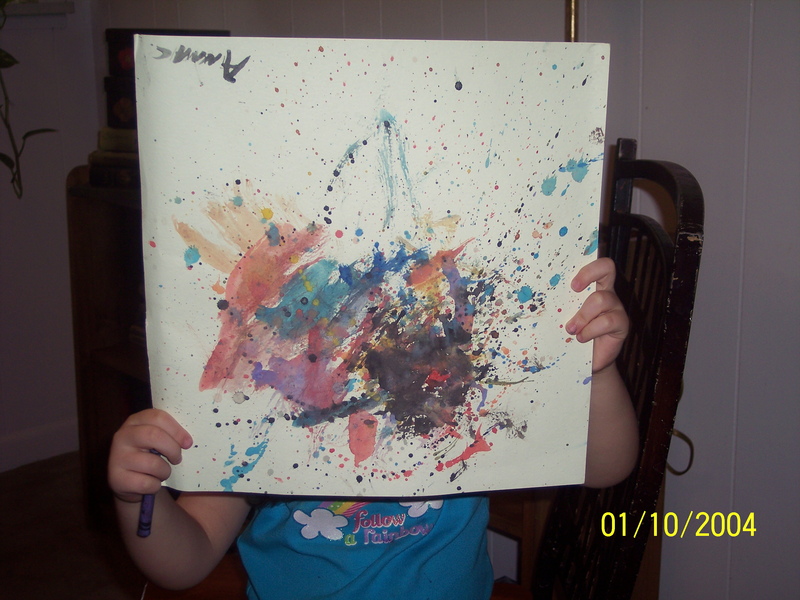 If you look closely, you may observe that before she started this project, she’d just finished one of her splatter paintings. I think the date-stamp on this picture may actually be right.